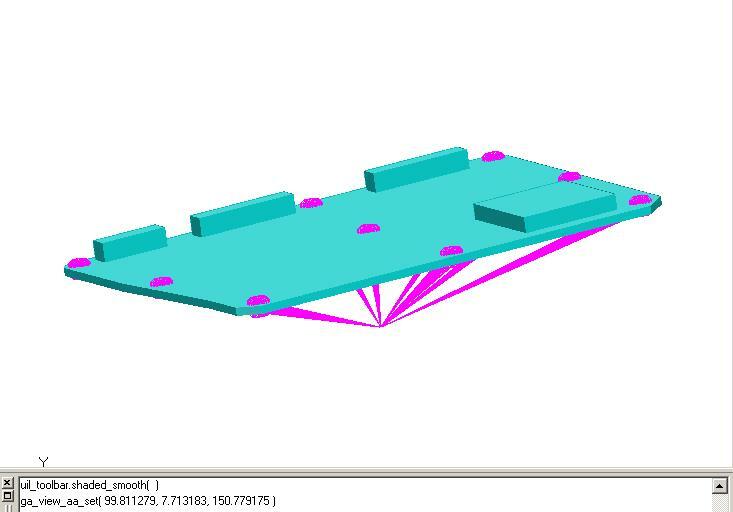 With a model created, meshed and with a static check run completed and validated, create a single base node for excitation. This node must be attached to the model’s mounting points in whatever mounting configuration is appropriate (bolt holes, bolt holes and faces, clamped area, etc…) using RBE2’s. Select all degrees of freedom on the mounting points. 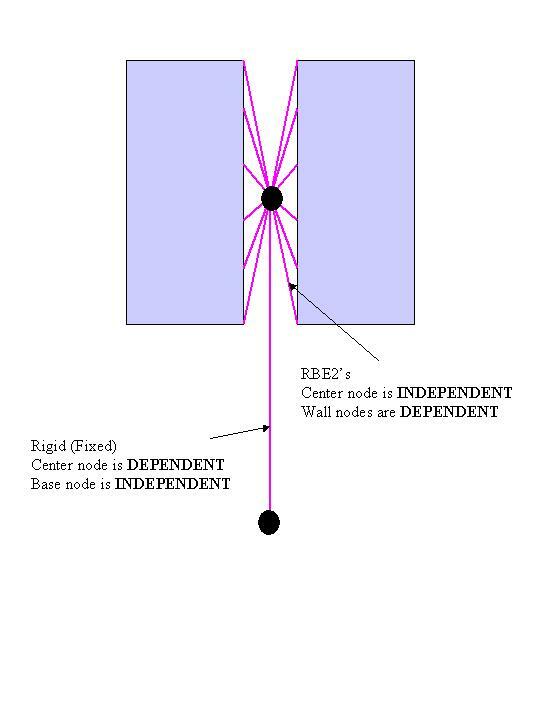 Make the excitation node the independent node of the RBE2’s and fix the displacement in all degrees of freedom in Loads/BCs.